Shimizu took first prize of the Marguerite Long-Jacques Thibaud International Competition and also a recital prize in 1981. In 1986 he performed with the London Symphony Orchestra, conducted by Gennady Rozhdestvensky, for his London debut. From 1995 to 1997, Shimizu performed all Beethoven piano sonatas in Tokyo. These concerts were recorded and released as a complete set under the Sony Classical label. From 2004, he started to record the complete Chopin piano works, and 5CDs from Octavia Records have been released. Shimizu performed with Vladimir Ashkenazy in Tokyo (NHK Symphony Orchestra) and Sydney (Sydney Symphony Orchestra). He has performed with many of the world’s orchestras including the London Symphony Orchestra, Chezh Philharmonic Orchestra and Mariinsky Orchestra, and has performed with conductors including Vladimir Ashkenazy, Gianandrea Noseda, Zdeněk Mácal, Michael Tilson Thomas, and Valery Gergiev. 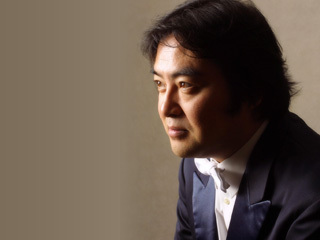 To celebrate the 30th anniversary of his debut, Shimizu performed his beloved Rachmaninov piano concertos 1-4, and the Rhapsody on a Theme of Paganini, in a single concert in August 2011. This amazing achievement proved that he continues to be a leading pianist on the world stage. He is currently a professor at the Tokyo College of Music.